Locks will fail eventually, especially if they are used often or multiple people use them - which is what happens in commercial properties. When your locks have failed – or are about to –ourlock change commercial service is for you. Maywood Locksmith Serviceis a professional locksmith that can replace all kinds of locks – including high-security ones – at an affordable price, in a short span of time. We have a large inventory full of the most cutting-edge locks in the market. 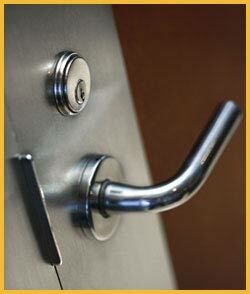 We have installed locks for all kinds of businesses in the Maywood, IL region over the past decade. Time is a valuable asset and we don’t believe in wasting yours. Our locks change commercial service can replace your locking systems in a short span of time – usually on the very same day you hire us. If you don’t want us to get in the way of the regular running of the business, you can hire us to work at night. Our locksmiths are available for service 24/7 – including on major holidays. With the help of our mobile vans, we can get to locations in and around Maywood in a matter of minutes. We won’t charge extra if you need us on an emergency basis or in the middle of the night. Need an economical and fast commercial lock change service? Contact our experts on 708-290-9001 !